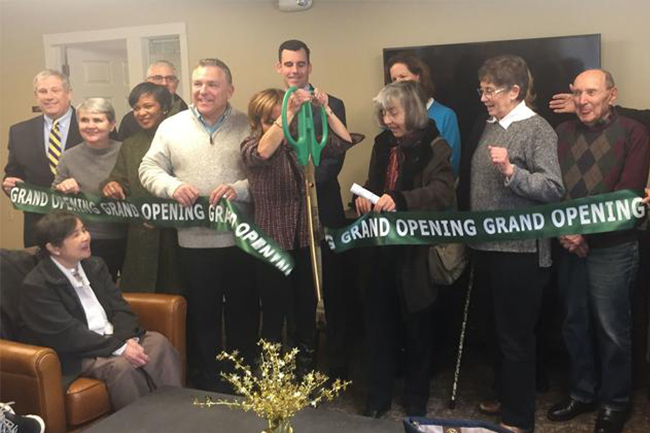 The renovation of 40 senior housing units at Elm Grove Apartments was celebrated last week in West Hartford. The $2.5 million rehabilitation improved deteriorating interior and exterior conditions. 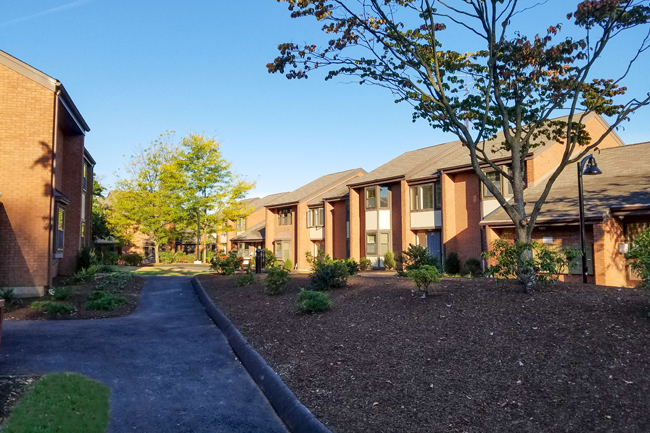 TO Design completed site design work for this project, which included simplifing the walking paths, making all units and walkways accessible from the front/rear entrances, improving parking and path lighting, and new plantings throughout. We worked on this site with QA+M Architects. The completed site with updated walkways & plantings. Head over to the Hartford Courant to read more coverage on the event.